Over a chute the abrasively pre-peeled potatoes are transported in a constant stream into the knife peeler. The inner circumference of the drum is equipped with special coated knives, and by means of the rotational action of the drum the potatoes are knife peeled. Also in the inner side of the drum are placed several elevations to turn the product and to prevent flat peeling spots. The product is transported through the drum with an auger so that the retention time of the product in the drum can be controlled. The auger is equipped with a variable speed motor to determine how much of the product needs to be peeled off. The knife peeled product is transported over a chute out of the peeler. The waste is collected under the peeler in a waste-chute. 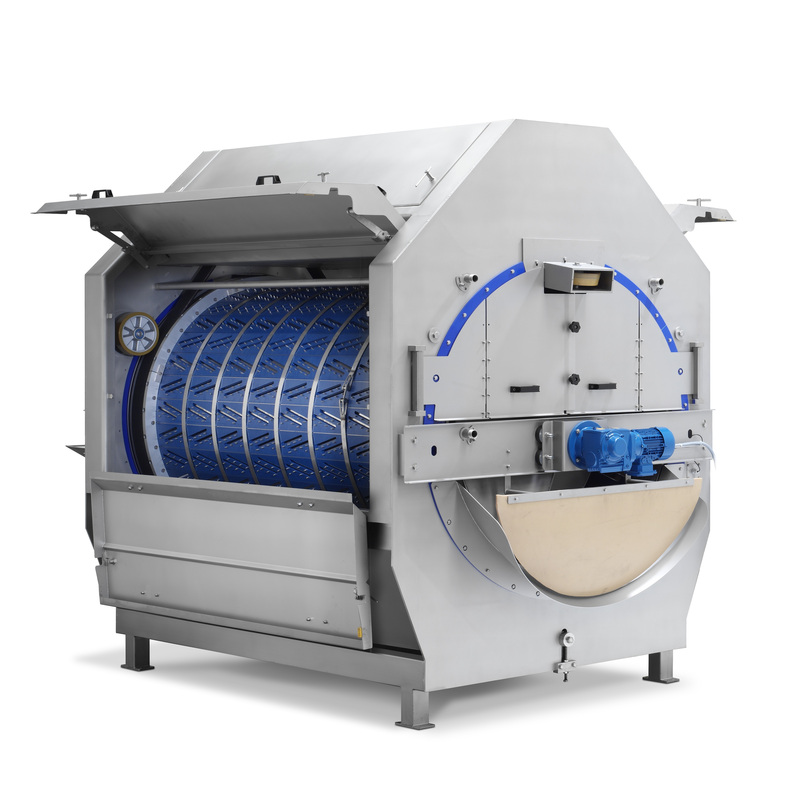 The peeler is equipped with a support frame and the whole installation is made in stainless steel or other corrosion-resistant materials except for the motor/bearings and other drive parts.